The journey from engagement to wedding is a beautiful one, though officially this period is called a courtship period of two people soon to be wed-locked, but it is not just that, in fact this is the time when two people absolutely unknown to each other (if it’s an arranged marriage) get to know each other, fall in love with each other and so on many beautiful things take place in this period. That is why I won’t be exaggerating if I say it is the most beautiful time of a couple’s life, when two souls embark on the journey of life and become soul mates. Be it a love marriage or an arranged one, the journey from engagement to wedding is mesmerizing. Whether a person believed in love or never did, he/she will surely fall in love during all those times they would spend with their spouse to be. The magical and the most glamorous journey is this journey of two people. The story always begins with The Million-Dollar Question…. Will you marry me? After all those initial crunches of match making, sorting, meetings, etc. two people find each other to finally step together on the path of life. Initially all that seems a bit difficult but gradually the couple start to see each other and things start to become easy and light between them. Believe you me the most romantic period of a couple’s life is this period of courtship. This is all romantic side of a courtship period full of love, happiness and celebration…. A perfect filmy love story! Soon after the proposal, the two gear up for their first official celebration ‘Engagement’. The moment two of them waiting for. 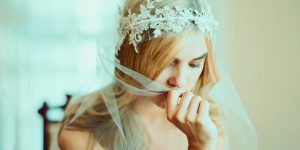 Here is another side of the story… you are getting wed-locked soon and the time between your engagement and the wedding is guaranteed to be breakneck. How you ask??? Read on…. There are so many things to plan, so many people to contact and so much to do, a huge list of tasks to accomplish for the D-Day. Now the biggest question is where to start from? Let me tell you that there is not hard and fast order to be followed as long as you follow your to do list religiously. This period between your engagement and your wedding is crucial, and nothing could be so romantically great then to plan your big day together it not only brings you two close but also give you enough time to understand each other. And that’s how it is! Here is a ‘to do’ list after your status changed from single to engaged…! 1. Enjoy The New Status! Yes, you are engaged and this is the time to enjoy being engaged as this was the moment you two were waiting eagerly for. Kiss each other a thousand times. I have seen people literally go crazy on getting engaged. They jump, they dance, and they sing and why not after all the biggest dream of their life to get wed-locked with the one they loved is going to be accomplished soon. Family, relatives and friends all agreed and shown green signal to their relationship, what else one would need. You also enjoy the big event, stare at the engagement ring, that’s the one your ring finger was waiting all its life. Take few wonderful pictures of yourselves with the engagement ring. Just imagine how your world changed so suddenly. Rejoice, relax and feel the moment. This is your engagement and a very special day. Since you are engaged now, and probably your engagement was an intimate affair which included only family members and few close relatives. Now is the time to announce your engagement with your love to the people you care for. Social media will be the last place they should have to hear about your new status. Let others also have a chance to see your happiness up close, to look at your engagement ring. Give them a call personally and tell them about the great news. Also, it is a mandatory step, so that they know that they have to save their dates for your big day. If your ring fits perfectly, then it’s good. As more often than not, the engagement ring which are exchanged on engagement are not fit and if this the case with you too. Then first thing you need to do after your engagement is get your ring sized. Take it to your jeweler and get it sized, if it very loose, chances are it will fall off your finger otherwise. Losing an engagement ring will be a great disaster, not only because of the money it costs but because of the love, emotions and feelings associated to it. If you are a girl who love to flaunt things then this the great time to flaunt your engagement ring, get a manicure done as your hands will be in the spotlight for the next couple of weeks. It is just to make sure that the girl soon to be wed-locked is careful about these small details, like clean and shaped nails. This way your hand will get more attention and people around will be able to notice that sparkling diamond on your finger. Let the world also know about your new status. Post your beautiful engagement picture across all social media (if you are planning to keep it wrapped for some time) so that people can know about your changed status. Share the good news with your friends and their groups! And the easiest way to do this is – click a beautiful ring selfie or a picture of two of you while exchanging the rings, post that on Instagram and Facebook and wherever you feel to share the good news. 6. Take A Break And Cheers! Now all the postings, news sharing, announcing has happened, everyone in your knit know about your engagement. This is the time to take a break from all and relax for some time. Don’t be overwhelmed with the wedding planning thing right now! Jumping in wedding planning just after your engagement will only tire you and you won’t be able to enjoy the moments, the fun of being engaged with your fiance. Both of you need some time, may be a week or two to let the news really sink in and to just relish the happy moments. Believe you me, your next few months are going to be really tiresome and stressing. So don’t rush, just relax. The best would be to round up some of your best friends and family and go out for a party, or if you love to spend time solo then have a special date night all with yourself. You’re engaged, being engaged is amazing and that’s totally worth partying. First thing first, make a to-do list, making the whole journey easy and comfortable to make your wedding a great grand event to cherish forever. One of the most imperative decisions you will make before starting wedding planning is to finalize your wedding date. More often than not, the most preferable wedding dates and venues get booked first. Not only this but also it will be the first question you will encounter the moment you will share the good news with the people. Otherwise also, how would you plan ahead without a wedding date? So, if you are planning to get hitched in the coming wedding peak season, the best you can do is finalize the wedding date as your first step towards the major milestone. You may think that it’s your wedding but deciding a wedding date is a harrowing task because already there would be many conflicts in the family for the date, like your elder sister’s son is sitting for exam on the same date which you desired for your wedding so he won’t be able to attend the wedding which he always wanted to attend and so on and so forth. You will have to look many things before you finally get a date which is good for all. I assume you know, a wedding without people is only a ceremony not a celebration. For celebration you need people, find the best date which suits all. After finalizing the wedding dates the next most important decision is to finalize the wedding budget. Money Matters! 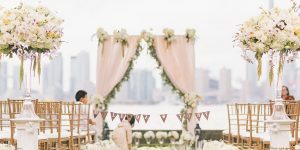 See, there is no harm in having a set wedding budget, often people do not like to talk about money openly, but trust you will make your life easy upon deciding money things beforehand. This is a mandatory step to be taken before you really move forward with any of your wedding plans. Discuss it with the family internally and with your spouse to be along with his/her parents. Oh! Don’t panic, these days’ people are getting wed-locked in different locations and that’s called destination wedding. You also need to discuss it with your family and your spouse to be, whether it is a destination wedding or all the events will take place in the wedding point of your local area. Destination weddings are in trend these days and you can have a destination wedding in budget. Now your wedding size is an important question, whether you wish to keep it close-knit intimate affair or a grand event. Also, see you and your spouse to-be is on the same page on this. Sit with your family and your in-laws and partner to have a discussion on this one. If all of you agree on the same points, go ahead with the size you have decided. If you are considering to have a theme wedding, then this is the time to decide the theme of the wedding. It’s also the time to decide if you’re having a religious or secular ceremony. You must have some idea already what sort of wedding you always dreamt, just sit with your partner and now you two need to do some brain storming about your ideal wedding. 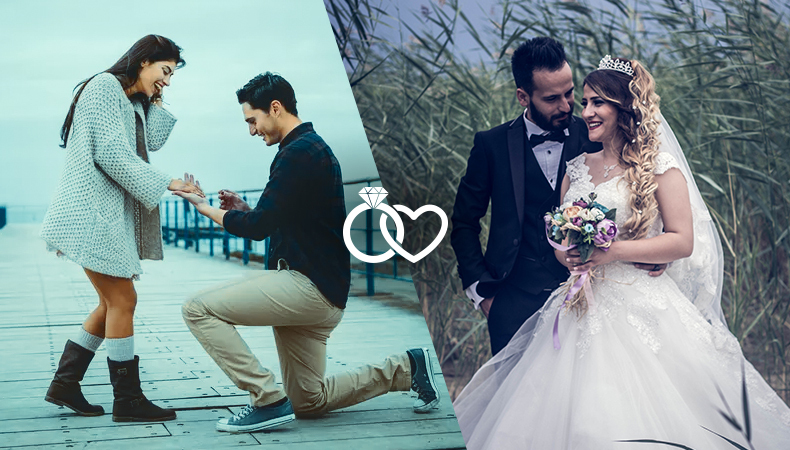 Share each other’s opinion, know what you both would want to have, have a combination of your and your partner’s ideas, and amalgamate in a way that it looks like a perfect wedding theme which can easily portray your true personalities to the viewers. Special Note: Now the time of dreaming your wedding is over and actually the real task begins….. Pull your socks it’s going to be stressful sometimes but you will enjoy the fun element too. Lot of, remember lot of research work needs to be done while finally booking your wedding venue. You must have dreamt of a fairy-tale wedding in some romantic location environed with mountains and scenic beauty but that’s not easy to find such location without much hard work. It is a task believe you me. Or if you have some place already in mind, then call them as soon as your wedding dates are booked to get all the information on pricing and availability. As I told you most desired locations are booked first, so you be the first to book your desired wedding venue. 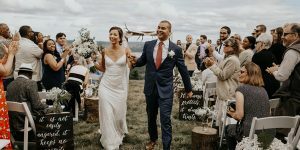 You already know how important your wedding photographs are, your wedding photographs play an important role in your life, and these are not just pictures of some event but the memories of your big day. Hence, a lot of research work is needed here also, you may get n number of options online and offline but hire only the one which you are comfortable with and whose work you liked. Start searching for wedding photographer, visit their galleries online, if you really like someone, call him/her take the time. Meet the wedding photographer with your spouse to-be get all the details from him including pricing and type of photography. Tell him all your requirements in advance what are you looking for in your wedding photography. Most important: If you and the photographer are okay with each other’s requirement don’t wait to hire him, as wedding photographer also become sort of extinct during the peak seasons. If you are planning to wait for last minute hiring, chances are your photographer will not have available slot for you. Better book now! And yeah, don’t forget to have a legal agreement signed by both the parties as it contains all the details of the wedding photography. If you’re planning to hire a professional to take care of logistics and décor, either search online for the wedding planners (you will get many) or ask around for references, then set up meetings with them. Having a wedding planner to help you with your wedding preparation will make your life easy for that matter. But if the budget is a constraint or you are not considering to have a professional for all these tasks then start finding and interviewing wedding vendors like décor, caterer, florist, DJ, make-up artist, hair-stylist etc., too much to do you know.. Find out, interview the ones you find worth interviewing, hire those you find yourself comfortable with. Easy!! Not an easy task, I tell you… If your wedding is going to be an intimate small affair… Sit with your family and your spouse to be to make a guest lists, see who all to invite for the final event. You will be tasked if you are planning a gathering of only 50-60 people as so many cuts will be made in the list. Probably your father’s friend and other relatives are chucked out of the list. So, this is going to take a nice time you’re your schedule. Be ready! Your wedding and how come your besties are not involved. Is it possible? 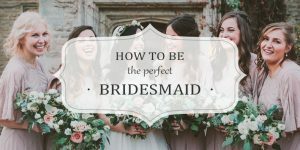 Not at all… Now you have to see who is going to be your bridesmaid for your wedding? As your bridesmaid is going to help you in your preparations, will help you in your bridal outfit shopping and all the trials. She will be the one who is going to be your biggest support in all those hectic and stressful moments. And same with the groomsmen too. 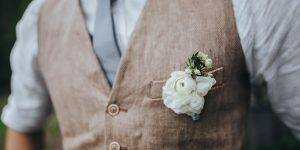 Decide how many bridesmaids or groomsmen do each of you want. And go ahead!! Ask your friends if they live nearby, as it’s good to ask them in person, otherwise a phone call will do for those who live far away, ask them, if they are ready and available for becoming bridesmaid or groomsmen, they do a lot more than just standing next to you on the day of the wedding. Get them involved!! 18. Get An Idea Honey! A lot can happen in your wedding and there are myriads of things can be done on your wedding, if you don’t know all those, like what kind of outfit you should wear your wedding or for your reception, the décor whether a floral one or frills are enough etc., then best you can do is gather information from sources online like Pinterest, Instagram and Google you will find great ideas there and make a folder on your compile all the information and imagery of your favorite wedding elements in the folder. You can share these details with the wedding planner, or with the one who is coordinating in your wedding. The capacity of a human brain is limited, you just can’t remember everything and anything and your wedding is a time of ten thousand moments and many tasks. So, it is recommended to have a journal of your wedding in which all the details of your vendors, bills, everything will be kept or mentioned. So, that tomorrow if you want you can refer the same. Or else you can do it online also. It will not only help you through this time, but also you are going cherish the same for the rest of your life. If you are a highly tech savvy couple then you can have your own wedding blog or website. See, this step is absolutely not mandatory at all, just in case you want something like this you can do it there are many templates available online. Yesssss!!! If you already have something in mind what kind of dress you want for your wedding then it is good as you can tell the designer or the store manager. But if you don’t know what exactly you want, take help of your partner and your bridesmaid as sometimes what we think will look good on us may not look in actual. It’s better to have a second thought for that matter. As definitely you want to look most beautiful on your wedding and to get perfect pictures of your wedding attire. Choose an outfit according to your wedding theme and wedding time, if it’s a day function then surely you will prefer light color outfit and at night you can still go for more vibrant colors likewise. Also, get your outfit very much in advance, so that if any alteration is required that can be done a way before otherwise it will create a last minute chaos, which is not good obviously! Now is the time to finalize your wedding invites, whether you want a print out of them or considering to send e-vites to your guests. Digital invites are in trend these days, you can think of them too. Beautiful way to send invites to people along with your love story, or a poem, or a small video of your relation. Think, think, think over it and choose which best suits you. This is one of the important tasks, as you may be very busy planning and arranging things for your wedding. At the same time you have to take care of your beauty regime too otherwise you will have dull photographs of your wedding enough to repent later. While you book your make-up artist, also know if they provide regular bridal seating also? If not, then book a parlor for the same and get your facials and other things done well before the wedding day. Also, eat healthy, eat on time, eat fresh and take good rest for having wonderful, gorgeous and great photographs of your wedding. Not all your attendees will be from the same town so it is advised that you send them the invites well in advance just to avoid last minute conflict with those who by mistake left uninvited. Remember that people who you want to be in your wedding will also need some time to make required arrangements to attend your great day. If you give them enough time it will be easy for them to save their dates and plan accordingly. Otherwise you know the consequences as yours is not the first wedding in your family. I am sure! Don’t you think of planning your wedding alone, not a great approach I tell you! All the successful bride and groom recruit help! Your help can be your most trusted friend, cousin, a professional planner anyone who you think can help you best. 26. Relax In Between, Have Some Fun! Your wedding is once in a lifetime event, make sure you do not stress out yourself in just preparing for the big day. Instead it is good to have some fun in between with your love in some romantic location. Doing some fun activities while preparing for your wedding is a grand idea… Go for it. Your courtship period will not come again in your life. Enjoy every bit of this journey from engagement to wedding. Now the D-day has arrived, this is the time when you need to follow-up with all your vendors, like following up with your decorator when will he getting the venue ready, contacting the wedding photographer and reminding him of your ceremonies and iterating the reporting time to him etc. All is needed to be done, also, don’t forget to share the wedding details like location and timings of all the ceremonies with your vendors when you hire them for your wedding. All your relatives and friends have now marked their attendance and this is the time for the ceremonies to begin with a bang, Sangeet night combined with Mehndi is a best way to go ahead with the ceremonies. All the events be it large or small are equally important for every couple to cherish the memories forever. Your wedding will full of rituals and fun-filled moments. Indian weddings are a perfect blend of the new-age celebration styles along with the age-old traditions. The pretty bride, in the beautiful bridal outfit with all the stunning fineries and the groom superbly dapper in his wedding attire along with the headdress, all of those moments, the guests, the food, the décor, the smiles, the teary eyes of bride’s father upon seeing her in her bridal outfit and the rage of emotions in the groom’s mom’s heart when she looks at him for the first time after he gets ready for his day, bridesmaid feeling on the occasion, everything large or small will add to your wedding all in all. The two individuals met somewhere and now having a tag of ‘made for each other’, as they say their wedding wows together, took blessings from the elders and the almighty to start a new journey of their life. Bingo!! After the bidayi, the bride is welcomed in her new nest, the house which she will spend her life in with the love of her life. The first day after the wedding in the house is filled with lots of fun as there are so many games and other activities or rituals planned for the couple to have fun and this way the bride also feels comfortable with the new family and get to know each one in the family. Fun time for the couple is the post wedding ceremony. The wedding ceremony in the morning are followed by a reception party at the night, a night filled with music, DJ, dance, all in all fun unlimited! Couple in the reception outfits look charming and gorgeous, everybody wants to have a look of the bride in the reception. The DJ, lots of dance performances and fun-filled night for the couple to conclude their lives’ biggest event, their wedding, is the simplest yet a rocking way to step in their new life. Now you have a solid foundation for your wedding! You know all about the journey from your engagement to the wedding, how to go ahead with the celebrations and ceremonies. You can use this list as a guideline for making your journey the best one! The only advice for you as c couple is don’t stress yourself out, don’t pressurize yourself, if something doesn’t go according to your plan on your wedding day it is absolutely fine. As it is you two who matters the most not the exact color of flowers which you wanted for the décor and didn’t happen. Your happiness from within will only help your photographer to capture the best portraiture of you too, even your make-up will do the needful if your happy and relaxed from within. Be happy and enthusiastic, it’s your wedding. Once in a life time even, you have been waiting for! And the story begins from here……. Rock on!